Djo Tunda Wa Munga was born in 1972 in Kinshasa, Democratic Republic of Congo where he spent his childhood. At the age of 10 he left for Belgium and after completing school, he studied art. Later he studied at the National Film School of Belgium, INSAS. During his studies he directed his first short films, some in the school program and others as an independent producer. He worked for a few years in Europe in the film industry and went back to the Democratic Republic of Congo to work as a line producer in documentary on projects produced for the BBC, ARTE and Danish TV. He directed a number of documentaries in the country for the local market and wrote his first film Viva Riva! He went on to create the first film production company in the DRC, Suka Productions!, which produced and directed a feature film for TV entitled: Papy. It is now broadcast locally and internationally. In 2009 he directed the acclaimed documentary State of Mind (now an Icarus Films release). Most recently he completed Congo in Four Acts, also an Icarus Films release which screened at the Berlin Film Festival and Hot Docs among 20 other international film festivals and was a successful training and production project in the DRC run by himself and Steve Markovitz over a nine month period with the support of the INSAS film school in Belgium and the Jan Vrijman Fund in Holland. He recently completed directing the Kinshasa- based feature film Viva Riva!, an international co-production which screened at the 2010 Toronto International Film Festival and will be released by Music Box Films. 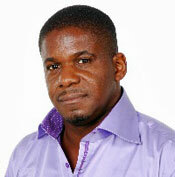 He has been named the African Trailblazer for 2010 by MIPTV.